Partly cloudy. High 67F. Winds NNW at 5 to 10 mph..
Editor's note: This honor roll ran in the print edition of The Daily News on Sunday, April 7. 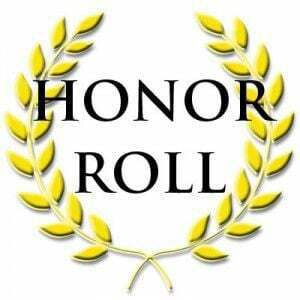 The St. Rose School second trimester honor roll has been announced. Eighth grade: Jay Nickerson, Sierra Paine and Jason Tran. Eighth grade: Emily Anderson and Nalwanga Nsubuga. Seventh grade: Ellie Gerhart, Sarah Hefren, Adrian Perez, Reegan Perkins and Ryan Vu. Sixth grade: Ana Gomez, Lulu Pfaff and Sadie Sanders. Eighth grade: Audrey Glaser, Jaxon Pleas and Sam Rogers.